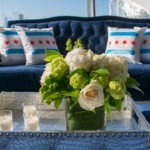 In partnership with Blue Plate Chicago and 360 Chicago, shades of blue complemented the stunning views of the City. 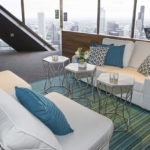 Who wouldn’t love to kick back, relax in comfort, and enjoy the sweeping vistas? 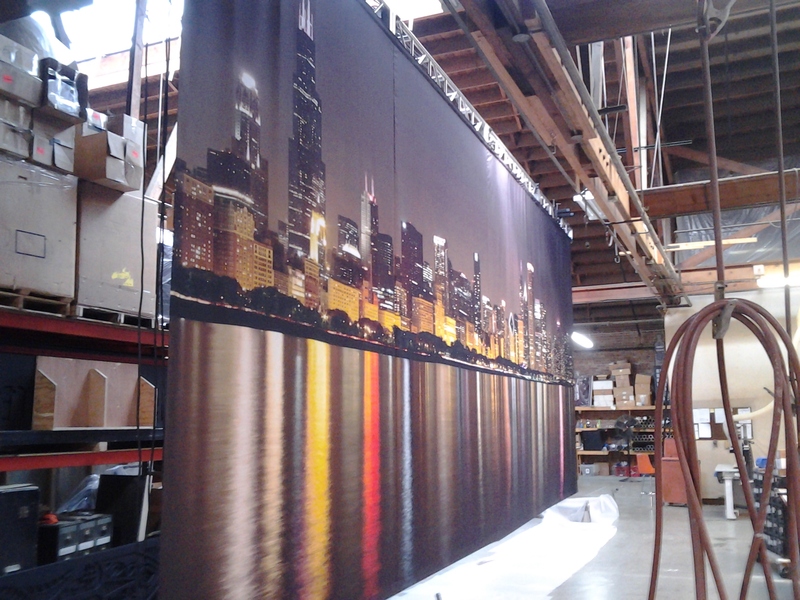 Using the iconic Chicago flag as inspiration for decor, we brought a decidedly “Sweet Home Chicago” vibe to a corporate gala at Northerly Island. Perfect weather, clear skies and sweeping views of the City just added to this wonderful event. 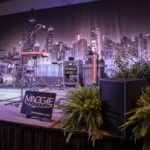 Photos by Eric Craig Photography. 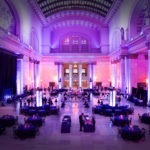 Transforming the normal hustle & bustle of Chicago’s Union Station into a professional corporate event is no mere feat. 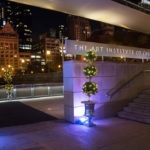 Accomplished with unique seating vignettes, illuminated towers, sleek white furniture and black communal tables. The client’s colors painted the Great Hall, as well appearing in the flowers, pillows and accent pieces. Photos by Eric Craig Photography.